Plesk is commercial web hosting data center automation software developed for Linux- and Windows-based commercial hosting service providers. 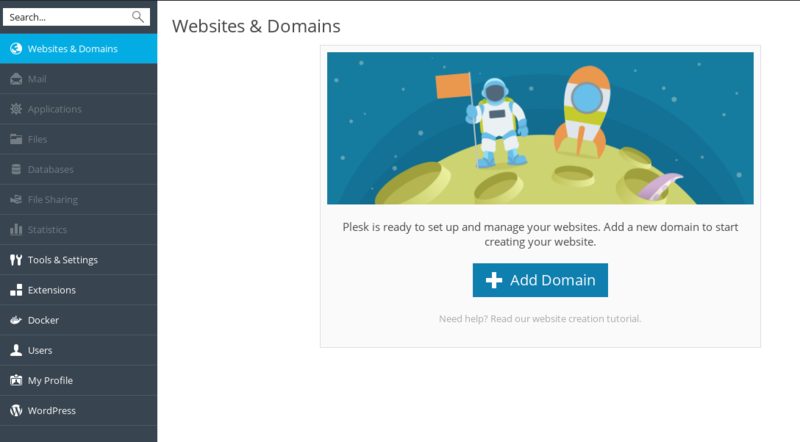 Plesk was designed to install and manage web hosting systems and applications on a single server. 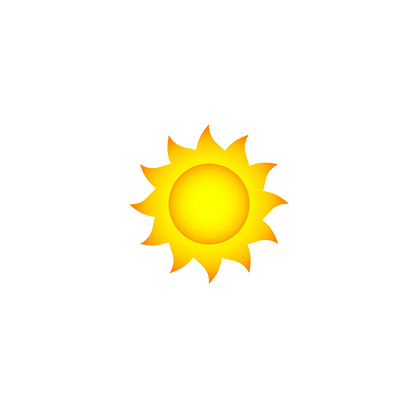 The control panel is designed to simplify the management and administration of the websites by automating various tasks on a single server. 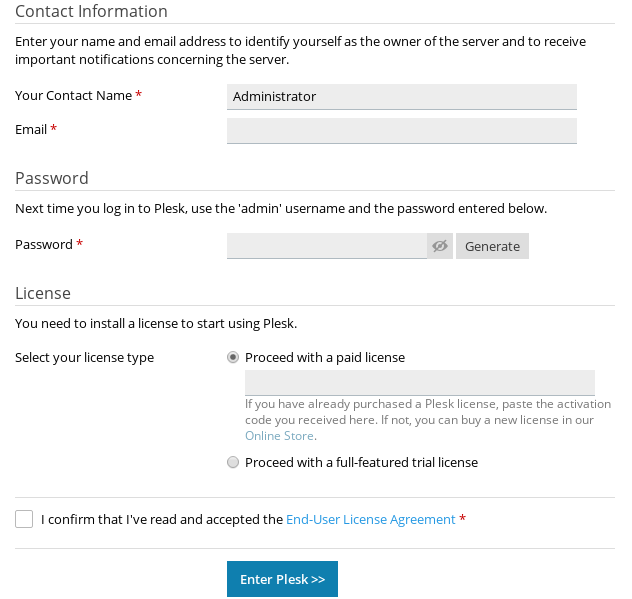 Plesk’s control panel allows a server administrator to set up new websites, reseller accounts, e-mail accounts, and DNS entries through a web-based interface. The administrator can create client and site templates, which predetermine resource-allocation parameters for the domains and/or clients. You can connect using username “admin” and the password you just entered during initial setup. Note. You can also use username “root” with a password provided in the Clients Area site. On the left side menu, choose “Mail” and then press “Create Email Address” button on the top. On the left side menu, choose “Websites & Domains“, then choose “FTP Access” and then “Add an FTP account” button on the top. 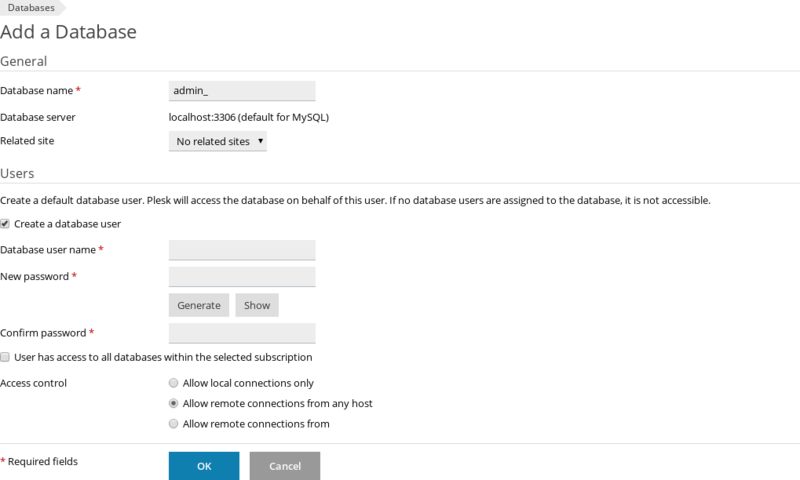 On the left side menu, choose “Databases“, then “Add Database” button on the top. On the left side menu, choose “Website & Domains“, then “Add Domain” button on the top. 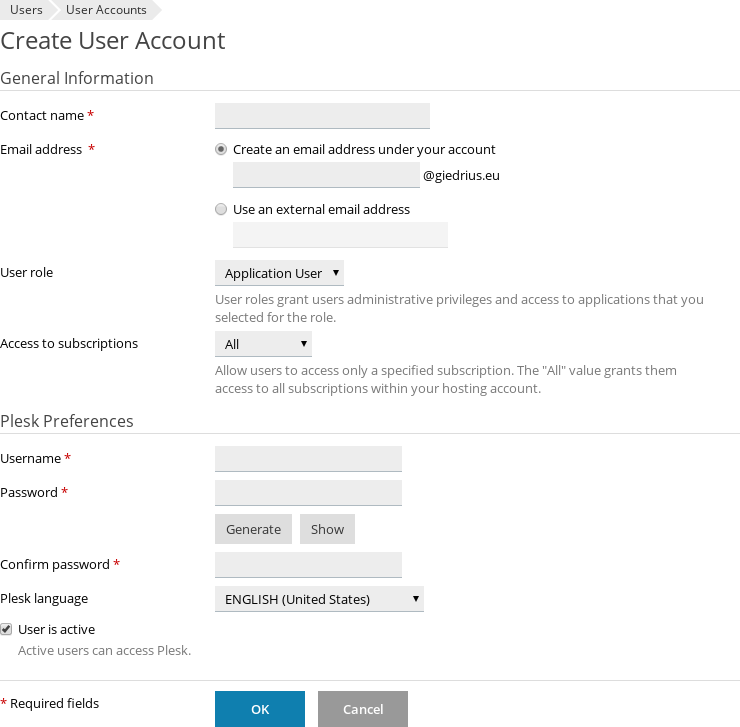 Plesk UI: On the left choose “My Profile” and fill “Password“, “Confirm password” filed and save. 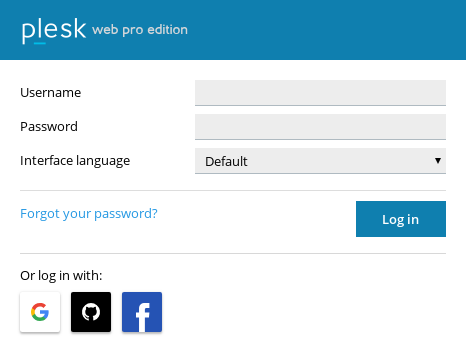 plesk bin admin --set-admin-password -passwd "*****"
Note. “*****” should be replaced with your actual new password.